I have a few really large nibs – oversize-sized – but some of the little ones in the collection are truly spectacular. This Mabie Todd Swan Self-Filler 1 has a #1 nib that is soft and pleasant to write with. 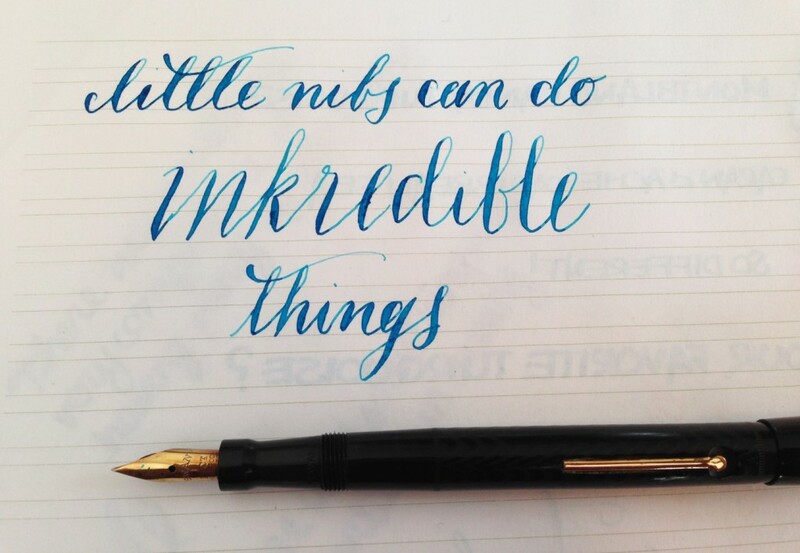 Bigger nibs doesn’t always mean they’re better!